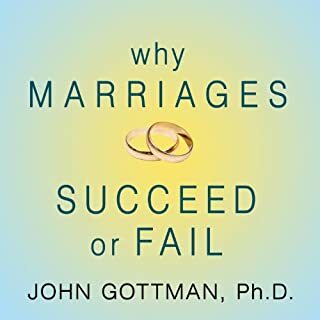 Leading relationship expert and best selling author Dr. John Gottman presents a revolutionary five-step program for repairing troubled relationships - with spouses, children, friends, and even colleagues. Drawing on a host of powerful new studies Gottman provides the tools you need to make your relationships thrive. 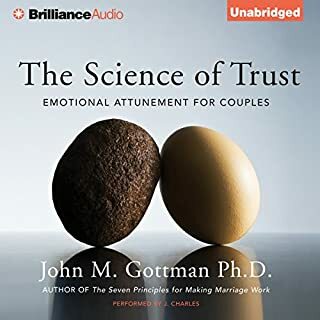 Introducing the empowering concept of the "emotional bid," Gottman shows that all good relationships are built through a process of making and receiving successful bids. His simple yet life-transforming program shows listeners how to become master bidders by effectively turning toward others. He draws on the latest research to show listeners how the brain's unique emotional command systems, as well as each person's emotional heritage - their upbringing, life experiences, and enduring vulnerabilities - affect how they make and receive bids, and how to make adjustments. He then introduces a set of enjoyable and remarkably effective ways to deepen connections by finding shared meaning and honoring one another's dreams. The final chapter offers specially tailored programs for life's most important relationships: with lovers or spouses, children, adult siblings, friends, and co-workers. 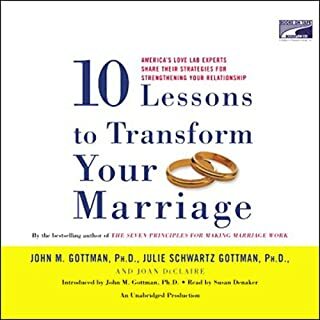 ©2001 John Gottman, Ph.D., and Joan DeClaire (P)2001 Random House, Inc.
John Gottman has done extensive research on couples. He presents many practical solutions to problems in relationships. His advice applies to all relationships not just relationships with your significant other. The great thing about his advice is that you don't have to fundamentally change your style of communication. Highly recommended. I just wish that Audible would get some of his other titles. Buy in Print. Audiobook good only as refresher. The Relationship cure gives valuable inside into how to make relationships work. However, the audiobook is abridged and missed large parts of the content of the original book in print. If you truly want to take action, the print book has self tests and you can take notes more easily of the results and action steps. The audiobook hits most of the key highlights but is lacking the very important point of your parents' style of communication that affects your preferences for communication. 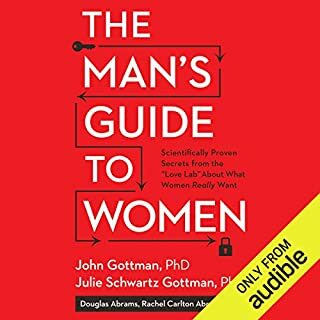 John Gottman explains his research very well and it is very interesting research, very useful information. However, I found that applying his ideas were difficult presented from an oral format. For one thing, some of the ideas were still too conceptual to apply. For another, his application ideas struck me as long and time consuming and requiring planning - first do this, it may take you weeks or months to get it right, then move on to step B, etc. Listening to his book a couple times can be very insightful for information to understand your relationship. In fact, you may find it an essential foundation to build on, but if you want to improve your relationship, you may find other approaches easier to put into action. This book gives different ways of communicating and understanding differences between individuals. Anyone who has had differences in the workplace or at home should listen to this book. It really helps! 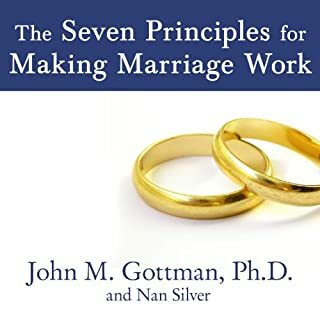 This books helps cement Gottman's earlier work of the 7 principles. He extrapolates the principles to any relationship - work, parenting and couple's relationships. An excellent explanation of the "bidding" description of relationships common thorugh the Gottman work I have read. Good advice for couples/marriage includes significant information and advice for other relationships too. Teaching heuristics for healthy internal emotional hygiene seems like one of the highest leverage ways to increase human happiness. A bid is an emotional Exchange in communication. An ask from your spouse that leads to positive engagement. You must stay present in disagreements and not cut off communication. Conflict stems from not understanding your partner's emotional needs. Must show interest in them and draw out more information. In healthy relationships they turn toward each other when there is a bid for connection. The topic matter isn't what cultivates healthy relationships, it's the emotional attention one gives when talking. TURN TOWARD EACHOTHER when there are bids given. Be aware of NEGATIVE SENTIMENT OVERRIDE which is a negative spin from past experiences and has nothing to do with current experience. You must understand the emotional needs of each other and communicate them. Be aware of criticism, attacking, defensiveness, and shutting down. Goal setting is important in relationships! Become a collector of emotional moments! This helps be more mindful and aware. Consciously look for moment's to connect emotionally. Do not critisize or condemn, instead understand the complaint. Don't dismiss others emotions. You want to support them as if not they will be conditioned to not share with you. You can empathize without agreeing with them. If your mate is mad you want to recognize it and lean towards them. Language creates the framework for what we feel in relation to our experiences. Shared meaning helps relationships grow. What did you like best about The Relationship Cure? What did you like least? Most, if not all of these concepts can be better understood by reading The 5 Love Languages which is a MUCH better read, much more practically applicable to life, and way less boring. 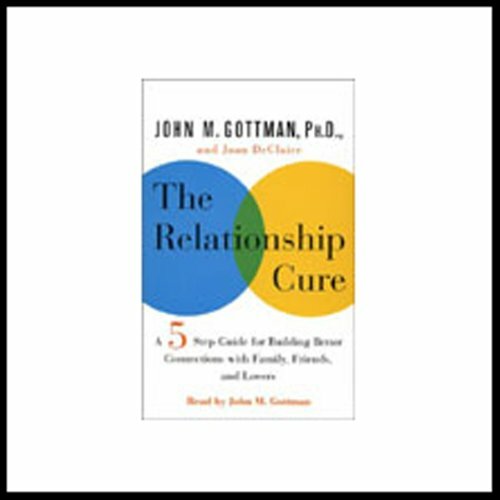 It's no wonder that Professor / Dr. John Gottman is known as the relationship guru! 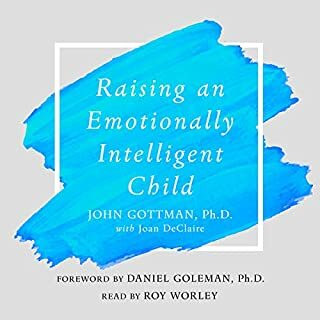 This book is fantastic - and an absolute must-read for all who are interested in improving their knowledge and skills in work relationships, emotional intelligence, body language reading, parenting techniques, and more. I tremendously enjoyed the read and truly recommend it.